Most couples have planned all the details of their wedding themselves. Whilst they have done an amazing job taking care of all the preparations, they soon realise that their wedding day should not be about stressing over every little detail going to plan, but about sitting back and enjoying it with their close family and friends. Windwood Events ensures, that an experienced Wedding Planner makes your dream wedding a reality. We work closely alongside you and your chosen suppliers, leading up to and on the day of your wedding. We will be that one point of contact to oversee and direct proceedings to make sure everything you have meticulously planned is set up exactly as you envisioned, without having to make it happen yourself. We are happy to be involved in your wedding journey as much or as little as you need. We offer many different packages to suit every couple, including the Wedding Day PA, Half Day Wedding Coordination, Full Day Wedding Coordination packages, Full or Partial Planning, Styling and Set up and Pack down services. Owner Leisa Rodoreda is a qualified and experienced Wedding and Event Planner who has attended, supervised, styled, sourced, coordinated and planned many weddings. 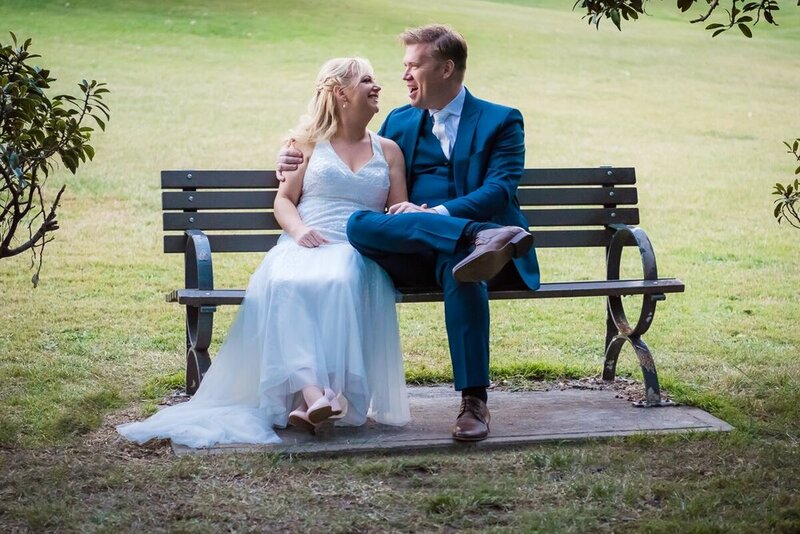 Leisa together with her small team of dedicated Planners are committed to ensuring that every little detail their couples have envisioned, comes together perfectly, on their special day. We are committed to providing the best service possible and always going above and beyond for all our gorgeous couples. The wedding was amazing. Thank you so much for all your work and support. We really don’t know what we would have done without you!! Leisa and her team took care of every detail and were with us every second of the day. It was brilliant knowing everything was taken care of. Leisa was super friendly, creative and flexible to our needs….highly recommended! Leisa, just wanted to say a massive thank you!!! from Toph and I, we had such a perfect night and you were amazing!!! Thank you for everything. You’re such a legend!! Olly and I appreciate everything that you did for us. I had Leisa for my wedding and I can't recommend her enough. She was there every time I had a silly question, made sure everything was set for the day and on the day she brought everything to life. For all brides to be, seriously consider having Leisa and Windwood Events to be part of your day, you will not regret it!!!! Without a doubt, I have no idea what I would have done without Leisa there on the day looking after everything. Leisa, no words can express how much all of your effort and energy meant to us. You brought our vision to life and I was so overwhelmed with how much it reflected us and our lives. We want to say thank you so much for everything. You're AMAZING!! Leisa you were an absolute godsend!! Thank you so much for everything, honestly we can not put into words how thankful we are for your efforts, not only the last few days, but the whole planning process. You just went above and beyond, you are defintely in the right job. I just keep thinking the day/night over and over...you were there behind me every second of it. You are truly amazing! Leisa was a godsend on our wedding day. She went above & beyond to ensure things ran as smoothly as possible on a very windy day, which involved moving the ceremony location, dealing with the knock on effects of a car accident at the entrance to the venue and rescuing my veil as it was about to be taken by the wind, all on top of the faultless coordination and set up. We would definitely recommend Leisa to anyone wanting to create an amazing event. Leisa is beyond A-M-A-Z-I-N-G! She made things so easy for us, she dealt with all the suppliers and stayed true to our vision of what we wanted our wedding to be. Throughout the planning, Leisa has been organised, resourceful and attentive to every detail. We thought Leisa was great and we are so happy we had her help us with our wedding. Leisa is an absolutely fabulous Wedding Planner, Coordinator and stylist, as well as the most generous person, going above and beyond to help in anyway she could. Leisa helped us create exactly what we wanted, brought our vision to life and made the day the best of our life. Highly, highly recommend Leisa. Thank you so much Leisa for everything you've done for us. We can't even put into words how apreciative we are of you. Best Wedding Ever!! Hiring Leisa as our Event Coordinator was the best decision we could have made! It was such a weight off my mind to have her assistance in the planning process. She understood the kind of wedding we wanted, made great recommendations and wrangled our many vendors with style, fair and enviable efficiency! Having her there coordinating on the day, knowing she had it all covered, meant that we could just relax and enjoy our wedding. It was a seamless day and we have so many happy memories to show for it! Leisa is the best. She helped us turn around a wedding venue change and date change eight days before the wedding and was a rock for all the time before that. She's a superstar and we love her dearly. Leisa, we truly can't thank you enough for everything you did to make our day everything that we could ever dream of. You really went above and beyond, thank you, thank you, thank you! Leisa, our wedding day was nothing short of perfect, thanks to you!! Everything from start to finish was seriously amazing!! Thank you so so so much for everything you did, leading up to and on the day of our wedding! We couldn't of asked for a better day! Leisa was phenomenal!! I can't speak highly enough of her. We planned our wedding in 10 weeks and she made everything really easy and took the stress out of everything 10/5. Leisa also help create my bridal bouquet. Without hesitation, we would recommend Leisa to any couple looking for a stress free lead up to and day of their wedding. She really did blow us away with the amount of care she showed and she would be our very first call if we could have our time over again. Copyright WINDWOOD EVENTS © 2016 | All Rights Reserved 2016 | Website by The Print & Paper Co.